Our MRO team has decades of experience gained at major OEMs, airlines, leading PBH and component support organisations. Fast turnaround times and component reliability at a competitive price is our guiding principle. All MRO partners are regularly monitored and benchmarked to ensure superb reliability, impressive turnaround times and excellent value. We work closely with our repair vendors to improve component performance and reduce aircraft downtime. 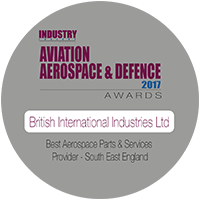 Bii offers customers a total aircraft support programme, within the areas of Avionics, Airframe, Landing Gear, APU’s & Engines. Bii partners with a carefully chosen selection of EASA, FAA, CAAC & TCCA approved independent partners and OEMs. Along with our logistics services, this allows us to offer a truly global maintenance solution to our worldwide customer base.